Sadece muhteşem plajı için tercih edilebilir ama ödenen ücret buna değer mi emin değilim zira konumu dışında tavsiye edilecek pek de bir şey yok. The room/bed was very comfortable. 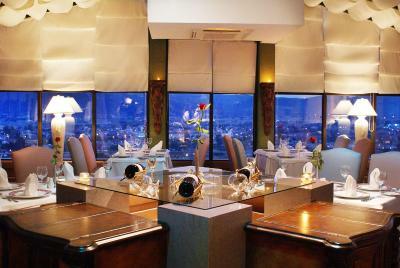 The location is superb and the food was very good. 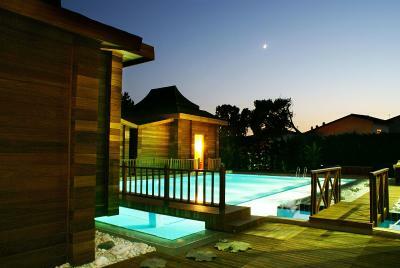 It's also located next to a spa where the waters are relaxing and healing. 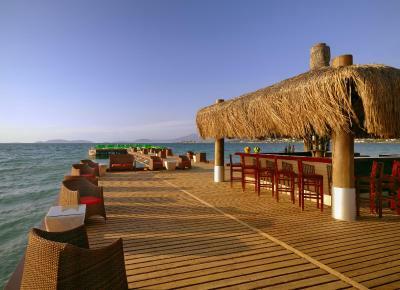 The location is perfect just in front of the famous sand beach. There was an underground car park. The staff was helping and smiling. The room was clean and spacious. Very friendly staff, found a solution for everything we asked for; even prepared delicious smoothies as per our request.. The beach chairs are plentiful and in great condition. They have the best beach in Ilica. The staff is very welcoming and friendly. The beach! Only the beach... 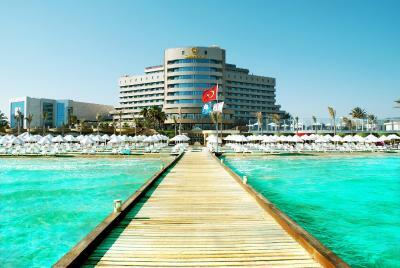 The hotel lives of that beach and doesn’t care much about other things that make a hotel desirable. 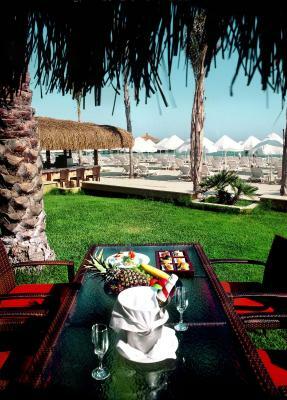 Staff is helpful, outside pool area, beach location. 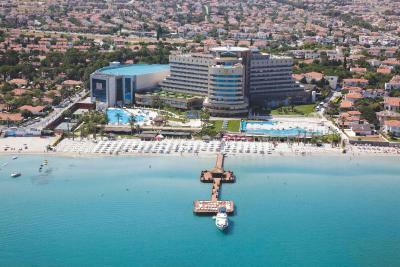 Sheraton Cesme Hotel Resort & Spa This rating is a reflection of how the property compares to the industry standard when it comes to price, facilities and services available. It's based on a self-evaluation by the property. Use this rating to help choose your stay! 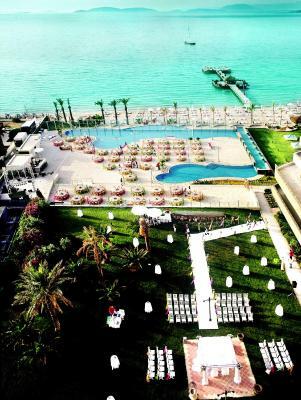 This beachfront, 5-star resort is located in the town of Çeşme and offers panoramic views of the Aegean Sea. 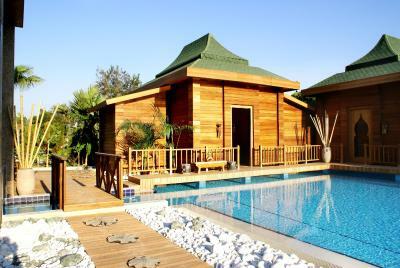 It features a state-of-the-art spa and an extensive, outdoor pool. Alacati town center is 1.2 mi away. Free WiFi and private parking is available on site. 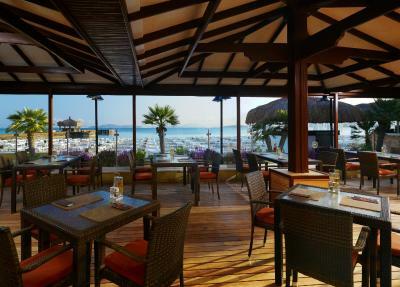 Sheraton Cesme Hotel Resort & Spa’s chic rooms lead onto private, furnished balconies with sea or garden views. Each has a flat-screen TV and a modern bathroom. 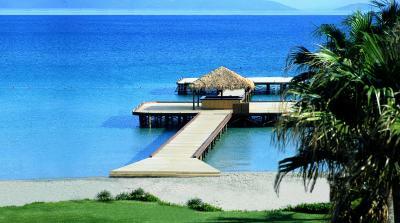 Down at the beach, water activities including windsurfing and diving can be arranged. 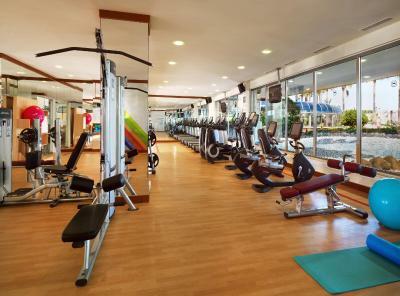 Guests can enjoy a workout at the fitness center or a game of tennis on the court. 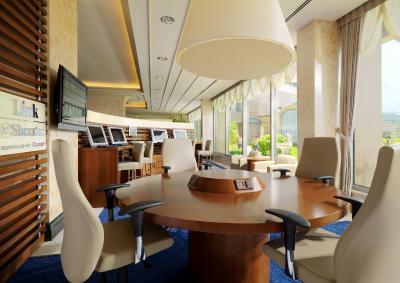 The Sheraton Cesme’s front desk is available 24 hours a day. 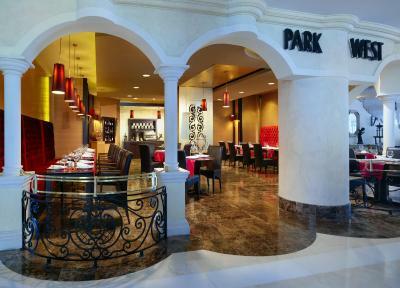 Several dining options are offered including Spices Roof Restaurant, which serves Turkish and international cuisine. 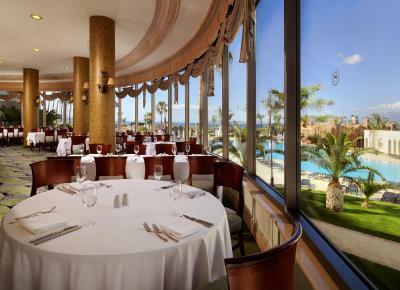 Mediterranean specialties can be enjoyed at Olives Restaurant. Light snacks and drinks are served at the many bars and cafés on site. 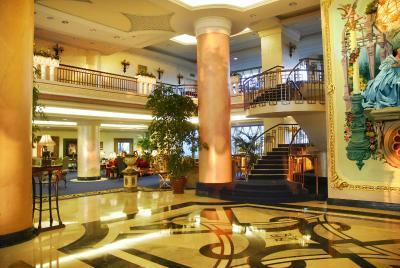 The hotel offers free private parking and a car rental service. 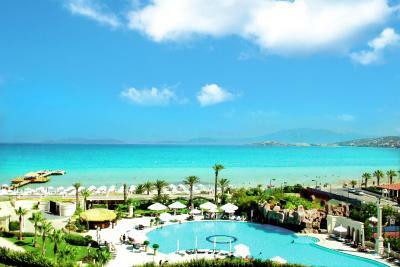 Çeşme Castle is a 10-minute drive away. Izmir Adnan Menderes Airport is 53 mi away. 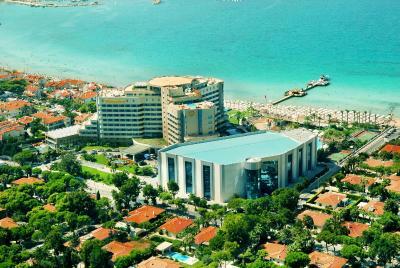 When would you like to stay at Sheraton Cesme Hotel Resort & Spa? This double room has a electric kettle, sofa and mini-bar. 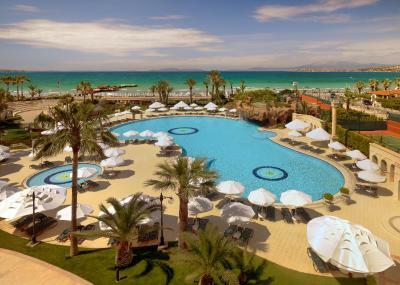 The Sheraton Cesme Hotel, Resort and Spa has everything you need for a relaxed, connected stay. 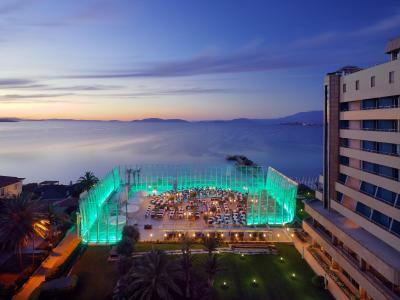 House Rules Sheraton Cesme Hotel Resort & Spa takes special requests – add in the next step! 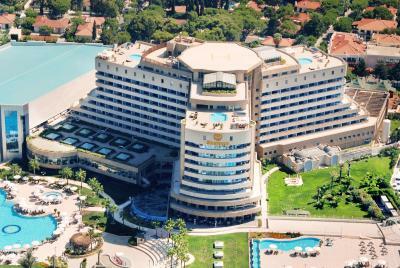 Sheraton Cesme Hotel Resort &amp; Spa accepts these cards and reserves the right to temporarily hold an amount prior to arrival. 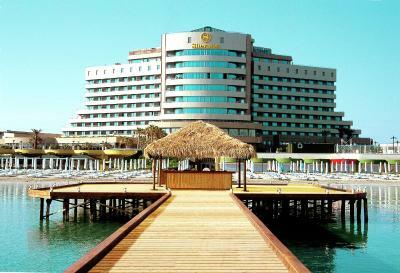 Sheraton Cesme Hotel Resort & Spa accepts these cards and reserves the right to temporarily hold an amount prior to arrival. Please note that spa facilities are provided at a surcharge. 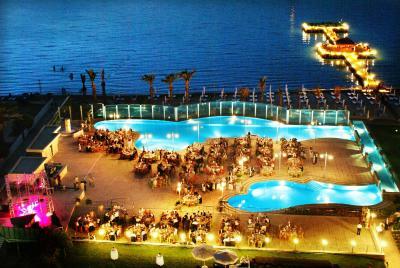 Great resort and great food. Onlarca yıllık eskimişliğin son günlerinde konakladık sanırım çünkü köklü bir tadilata gireceği bilgisini verdiler. Hatta yenileme çalışmaları önümüzdeki yaza bitmeyebilirmiş. Sanırım sonrasında gerçekten ödenen ücreti hak eden bir tesis olup olmadığı değerlendirilebilir. Ayrıca eğer rezervasyonunuzu döviz üzerinden yaptıysanız otelin kendi kafasına göre belirlediği süper yüksek kurlar üzerinden TL olarak ödeme yapıyorsunuz, bilginiz olsun. Price didn't match the service and facilities. 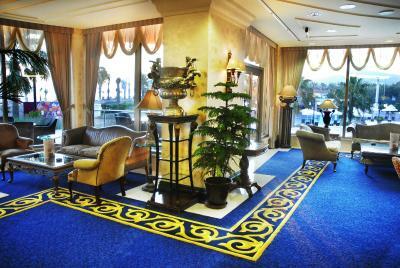 We booked a smoking room, but when we arrived, we had to pay additional money for smoking room....a lot of money. We asked them to give us a company account, but they did not. Staff were super unfriendly especially front desk and their duty manager. I got a family room and they asked me to pay extra for my eldest son who is 15 years old while I only have 2 boys in the room. Housekeeping barely cleans the room with few efforts to actually clean up. I was in the hotel for 5 nights, the room started to get filthier day after day with the lack of proper cleaning. 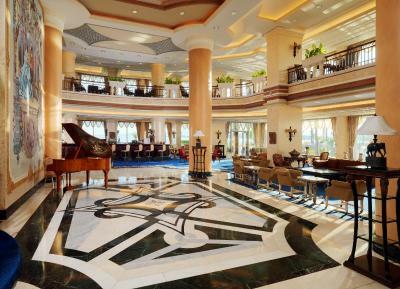 The breakfast which is open to the entire hotel being part of the accommodation is actually a joke as they simply tell you dare to find a table. It is super crowded, nevertheless the food is not at the level of quality you expect from a Sheraton Hotel. Upon check out while having breakfast and we had the no disturbance tag on the room, yet the housekeeper entered the room claiming that she thought we have checked out already while she could have checked with front desk first. The property requires upgrade of everything especially furniture as it is out of shape. No English speaking staff. 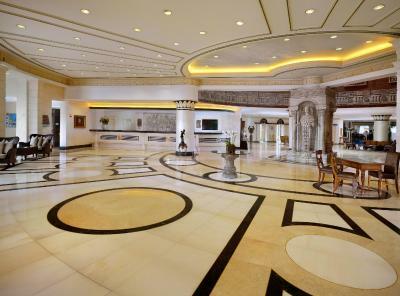 Spa and Hamam for extra charges. Food was not good. Hair in food. Bad food and not removed by the chef or the staff. Not clean especially in restaurants! Not enough of specific food items. So the restaurants decrease the overall rating.